That looks and sounds awesome.. been thinking about a Wiborg. let us know how it compares to the others in your stable. I'm not a fan of taller brushes, BUT this one sure is SPECIAL and unique! Wow, very nice. I'm sure you will enjoy that. I do enjoy a taller brush, will have to check them out! That's a really nice brush you have there and the handle design looks very interesting. How have you found it in use? Wiborg makes some gorgeous brushes. Especially the fan shaped ones. Gorgeous. (01-14-2015, 03:16 PM)ajc347 Wrote: That's a really nice brush you have there and the handle design looks very interesting. I'm curious to know as well. I've been looking at the Wiborg offerings for some time now, even though the distinction between the grades of badger hair is still a bit confusing IMO. That's one pretty brush! Congrats! 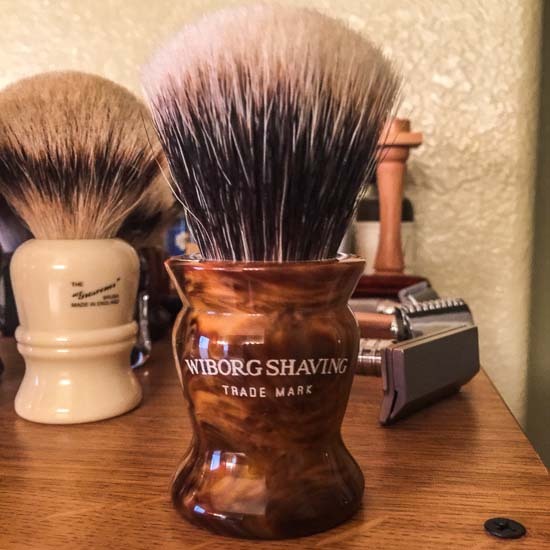 Wiborg brushes look incredible. Congrats on the purchase! Very nice! Wiborg makes a great brush. Enjoy! I hope you will post a pic on the SOTD. Just finished shave with the brush. 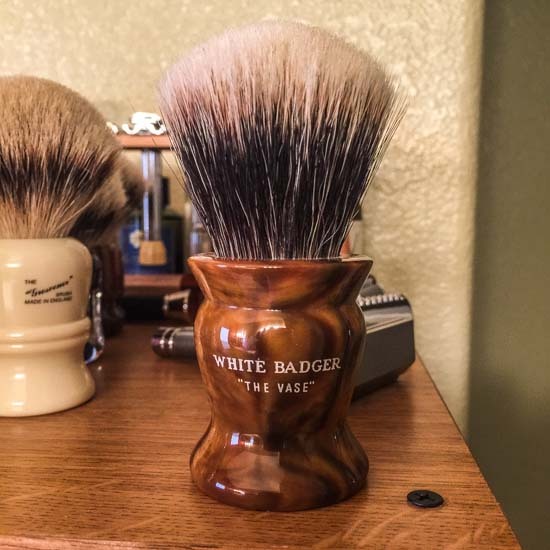 I have no idea how the other wiborg badgers are but I tell you if you are thinking to get one , go for White badger . Thanks for all the compliments . This is an outstanding brush!! As Mustafa stated, the tips are impossibly soft. I shaved with mine, and it was simply luxurious and an amazing experience in every way. As the tips dry, they are getting "crunchy" and clumping together. So far, based on observation and one shave, it is reminding me of Simpson 2-band but with better flow. This hair is a must-try, if you are considering it.